Abstract: Background: Since its foundation in 1986, the Journal of Cancer Education (JCE) has served as an important outlet for myriad aspects of cancer education and currently serves as the official journal of the American and European Associations for Cancer Education. During its history, the JCE has been under the auspices of five publishers, with its first full year under the current publisher, Springer, in 2010. Methods: Print and distribution metrics from 2010 to present were obtained from Springer. These were compared to historical data including the first 10 years of the JCE, published by Dr. Bakemeier in 1995. Findings: Since its beginning, the JCE has consisted of four issues per year. The original contract for 256 pages per year has increased to an average of 858 pages from 2010 to 2014. In 2014, the JCE received a total of 332 submissions, up from 270 in 2013, and 158 the year before. This is a stark contrast to the roughly 70 submission received in 1994. Over this same period, the overall rejection rate has increased from 25 % in 2010 to 48 % in 2014. The number of online deals has increased from 285 in 2013 to 347 in 2014 and has been accompanied by a steady increase in the number of full text article downloads, 19,000 in 2010 to 49,000 in 2014. Accordingly, the JCE has seen a pronounced and steady increase in impact factor, rising from 0.52 in 2009 to 1.23 in 2014. Discussion: Since moving to Springer, the JCE has seen unprecedented growth, receiving increasing submissions yearly, an increasing number of subscription deals and online full text downloads, and a corresponding increase in impact factor. 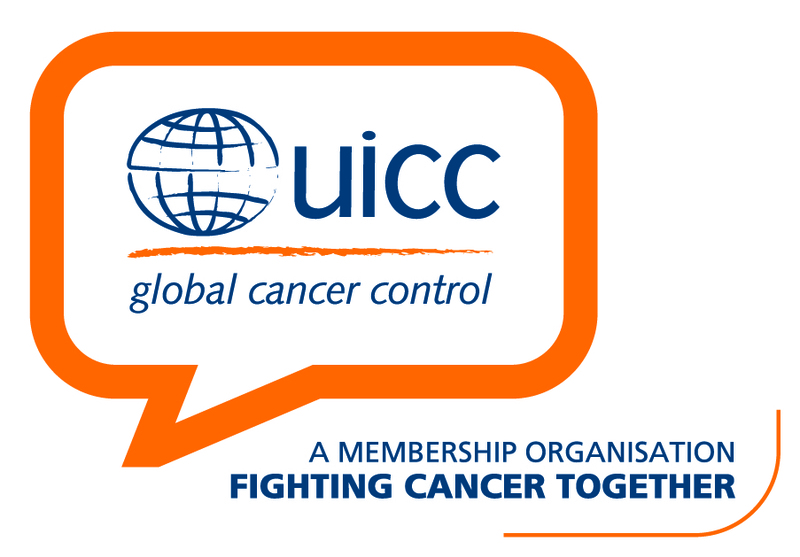 Learning Objectives: The participant shall be able to identify two areas of recent growth as well as describe the history and future directions of the Journal of Cancer Education. References: Michalek AM. A New Face at the Door. J Cancer Educ. 2016;31(1):1-5. Vetto JT. Editorial: Colorectal Cancer Screening Education in Medically Vulnerable Populations: the Role of the Journal of Cancer Education. J Cancer Educ. 2015;30(4):611-613. Abstract: Background: To continue improving treatment for breast cancer (BC), which has high worldwide prevalence, oncologists rely on continuing education (CE) for clinical data regarding therapies for metastatic BC that may overcome existing challenges (see references 1–4): CE helps translate research to practice (5). It is unknown whether oncologists’ assumed interest in learning—as indicated by CE participation— about emerging treatment options translates to CE-associated knowledge change concerning their development and use. Educators require methods to determine whether events affecting the treatment landscape, such as regulatory approval of new therapies, influence learning. Description: We studied knowledge outcomes (6) from several initiatives of CE-certified, live and online activities on precision therapies collected one quarter before and within six quarters after approval of a novel precision agent. Our methodology indicates degrees of knowledge change during a period of widely assumed interest in a newly approved agent as it became available for clinical use. Evaluation: Our method identifies trends in aggregated percent change calculated for individually eligible, multiple-choice items administered immediately before and after participation in a CE activity. A knowledge item was eligible if it met CME standards for testing the clinical science or data regarding the precision agent. Data for each eligible question were divided into quarters by date of post-test completion. Controlling for response count, mean change per question was summarized with all knowledge data found for each quarter, and results were assessed. Usefulness: Educators studying knowledge acquisition for clinical cancer treatment must investigate whether the assumed, time-limited interest in clinical data for a new drug class affects the degree of knowledge change assessed in a CE activity. This new method looks at timing of knowledge acquisition relative to a historical moment, rather than knowledge gained during a single educational project. Discussions of methodological decisions will help educators adapt this technique to other investigations of CE data per relevant events. Learning Objectives: The participant shall be able to adapt the presented method for identifying trends in educational outcomes data relative to a historically relevant event affecting an educational topic and identify magnitude of change in the studied clinicians’ knowledge of a newly approved precision breast cancer treatment agent and its underlying science over seven quarters surrounding that agent’s regulatory approval. References: LEE011 in postmenopausal women with advanced breast cancer. https://clinicaltrials.gov/ct2/show/NCT01958021. A study of palbociclib + letrozole . https://clinicaltrials.gov/ct2/show/NCT01740427. A study of LY2835219 + fulvestrant. https://clinicaltrials.gov/ct2/show/NCT02107703. Expanded access study of palbociclib. https://clinicaltrials.gov/ct2/show/NCT02142868. Robinson C, Ruggiero J, Abdolrasulnia M, Burton BS. J Cancer Educ. 2015;30(1):75-80. Moore DE Jr, Green JS, Gallis HA. J Contin Educ Health Prof. 2009;29(1):1-15. Abstract: Background/Purpose: Over 80 % of the 15 million people diagnosed with cancer worldwide will need surgery as part of their diagnostic or treatment plan (Sullivan et al., 2015). Surgeons are often the first health care provider patients encounter. Cancer patients and caregivers seek information on the Internet to regain control and more actively participate in medical decision making (Lithner et al., 2015). While the public and professionals trust the information from association and government sites, medical information on the Internet remains unregulated, with quality and accuracy unreliable and inconsistent. The purpose of this study is to assess the quality, readability, and availability of patient education developed by surgical associations. Methods: Triangulation methodology provided qualitative and quantitative data from surgical association representatives and websites. Descriptive statistics determined the quality of resources that met the following criteria: Flesch-Kincaid Readability Algorithm, DISCERN instrument, and the American College of Surgeons (ACS) Informed Consent guidelines. Qualitative data from association representatives was obtained through teleconference. Results/Findings: Thirty-one percent (23/74) had patient education. English only was available on 69.5 % (16/23) and 17 % (4/23) websites offered blind/low literacy audio resources. DISCERN tool ratings were excellent (8.6 %), good (30.4 %), fair (26 %), poor (30.4 %), and very poor (4 %). One website had content that followed all of the ACS Informed Consent guidelines with the others deficient in covering diagnosis, prognosis, pharmacotherapy, wound care, diet restrictions, activity requirements, and symptoms of worsening conditions. Readability was grade 9 (average). Qualitative results confirmed the need for quality criteria, standardization, public access, professional review, and availability at the point of care. Conclusion: The quality of surgical patient education on association sites is highly variable, with few sites meeting all the recommended standards. Access is restricted at the point of care due to no delivery option within the EHR system. The ACS is leading a collaborative effort to develop accreditation standards for patient education content. Learning Objectives: Determine the quality and availability of surgical cancer patient education from surgical association sites. Identify accreditation standards to improve the quality and availability of association-developed patient education. References: Sullivan, Richard et al. Global cancer surgery: delivering safe, affordable, and timely cancer surgery. The Lancet Oncology, Volume 16, Issue 11, 1193–1224. Lithner M, Klefsgard R, Johansson J, Andersson E. The significance of information after discharge for colorectal cancer surgery—a qualitative study. BMC Nursing. 2015;14:36. doi:10.1186/s12912015-0086-6.